With two partners, Bandholz has invested in high-quality photography, design and content for the brand’s website, beardbrand.com, which offers transparent and authentic messaging through a blog that takes on such topics as tattoos and cologne as well as myriad angles on growing and maintaining a beard. 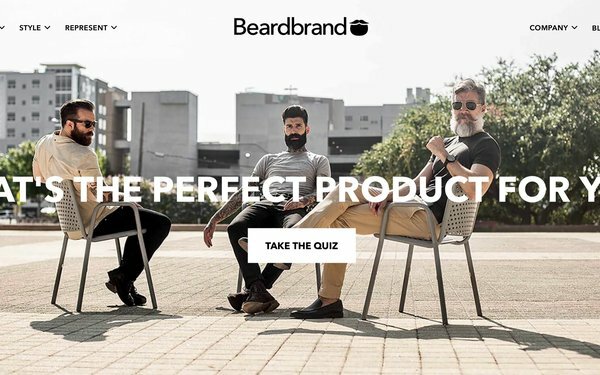 Beardbrand also offers an email subscription and a YouTube channel with videos on everything from “Beard Tips for Teens” to “World Champion Muttonchops With Beardbrand Logo Haircut.” While the viewership there is close to 97% male, the product buyers are 35% female. There is a fair amount of paid being done on Facebook, Instagram and Google, Bandholz said. In 2018, the brand saw a 250% increase in year-over-year growth. Also, it added about 700K YouTube subscribers and hit the 1-million mark. Build a team around your core values. Find people who understand your brand and the culture of the company. Be laser focused and stick to things you do best to capture all the opportunities available.